In the age of rapid releases and continuous up-time for software applications, most of you are familiar with the advantages of DevOps for achieving integrated development and delivery. 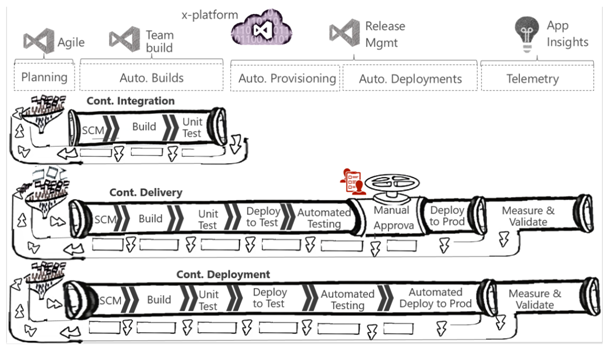 In this post, a step-by-step process that illustrates the practical implementation of DevOps with an automated Build-Integrate-Test-Release pipeline is described in detail. The primary difference between continuous delivery and continuous deployment is, in case of the former, pushing code to production stage is done manually, whereas it is automated in the latter scenario. Using NuGet, a Microsoft-specific tool to identify and pull together all dependent code, a NuGet package is generated, which is a single ZIP file with the .nupkg extension, containing compiled code (DLLs), other files related to that code, and a descriptive manifest with version number and a date-time stamp. Any new code commits triggers an automated pre-build to check the sanctity of the code that is checked in. As part of pre-build, impacted tests (unit tests) are run automatically. If the pre-build is successful, an automated merge-request is generated. The merge-request triggers a new build, which builds the solution and merges with the master branch. ECHO Building master branch so no merge is needed. Automated regression tests are executed on the solution. 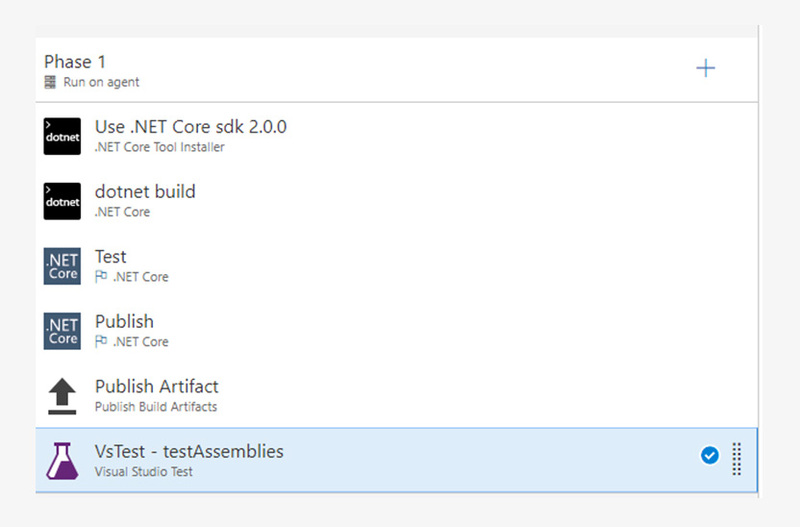 The Visual Studio Test task automatically runs tests included in the app assemblies, but there is a wide range of configuration options that can be used to run only specific tests. 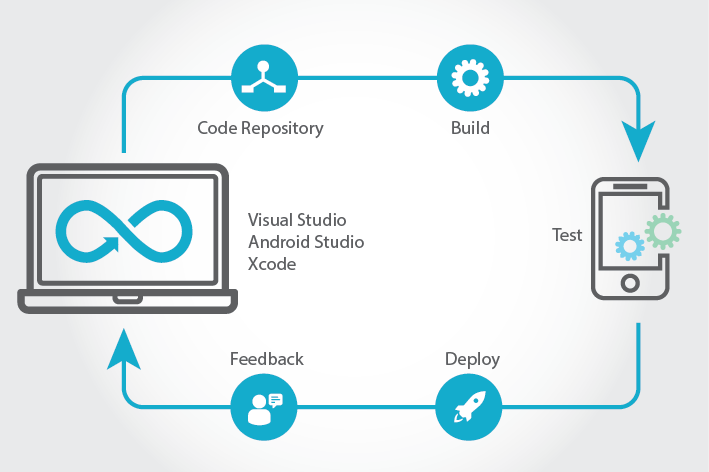 Refer Run Tests using Visual Studio task for more information. If the regression tests are unsuccessful, an automatic failure notification is generated. 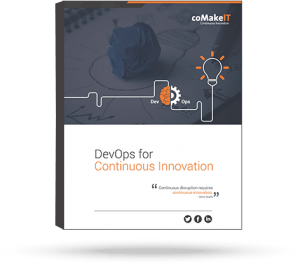 Continuous Deployment (CD) is the ability to use the output from CI and automatically deploy the tested build to different environments. 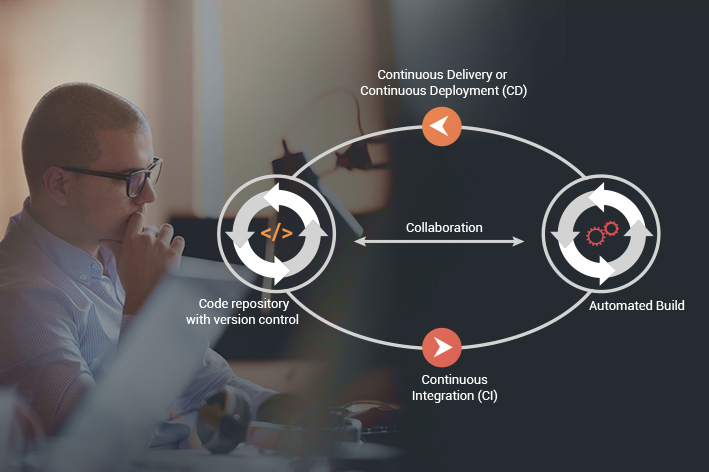 Continuous delivery involves a manual decision prior to pushing to staging and production, whereas in continuous deployment, the latest working version is automatically deployed to a production environment. If the regression tests are successful, an artefact is dropped to the release branch. In case of continuous delivery, a notification will be generated and sent to an approver. The approver will manually trigger deployment of the application to a staging environment, using Azure cloud services deployment task. In the production environment, performance and availability tests are run manually, before releasing the application to a live environment. Load testing can be performed using cloud-based load tests and Apache JMeter load tests. Azure PowerShell task is used to SWAP the application from staging to a production environment, and once the application is live the staging instance will be suspended. In case of any changes to the database schema, the same is updated through Execute Azure SQL task. 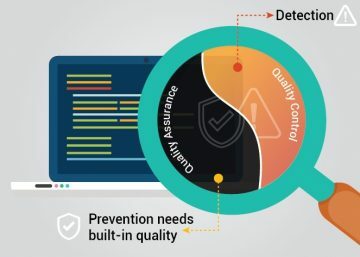 In a continuous deployment environment, all the above tasks including functional, performance, and availability tests are also automated, and the application is deployed to a live environment without any manual intervention. White Source Bolt and White Source extensions available in VSTS are used to checking for any external dependencies and ensure that the package is complete and up to date in all respects. This is a mandatory step executed as part of the Build & Release pipeline. 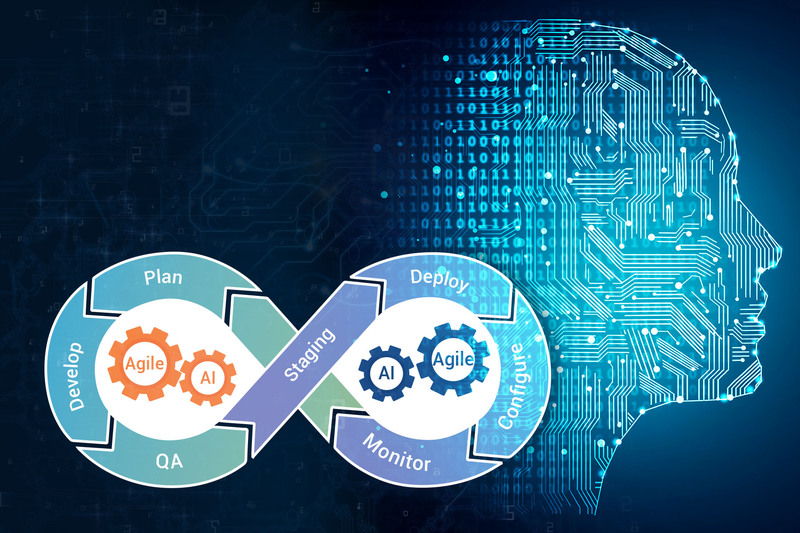 The level of automation that one chooses to implement as part of DevOps, will be largely determined by the nature of the development environment, as well as the needs of the production and/or live environments. The right tooling and workflow will go a long way in ensuring that the latest code is always in a production-ready, deployable mode. The author is a Senior Software Engineer with Vision Planner-coMakeIT team.